Chilkat weaving is a traditional form of weaving practiced by Tlingit, Haida, Tsimshian, and other Northwest Coast peoples of Alaska and British Columbia. Chilkat blankets are worn by high-ranking tribal members on civic or ceremonial occasions, including dances. It is unique in that the artist can create curvilinear and circular forms within the weave itself. 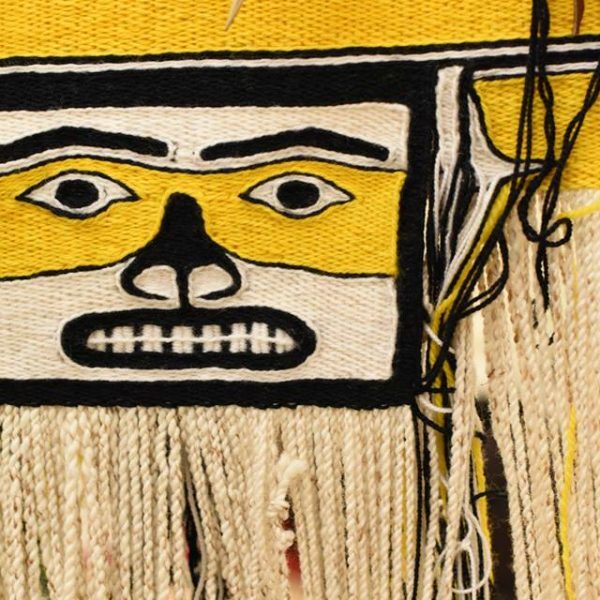 A Chilkat blanket can take a year to weave. Join master weaver ‘Nalaga, Donna Cranmer as she demonstrates one of the most complex weaving techniques in the world. Donna is from the ‘Namgis band of the Kwakwaka’wakw Nation from Alert Bay, British Columbia. Donna’s Kwak’wala name is ‘Nalaga, which means Daylight Woman. She has been weaving with cedar bark for over 25 years and Chilkat weave for 16 years. 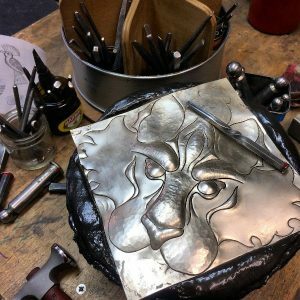 She creates traditional and contemporary pieces.